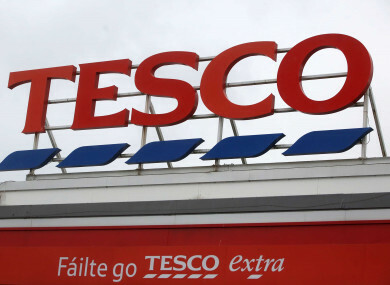 TESCO HAS BEEN taken to task by the Workplace Relations Commission for suspending a sales assistant for her conduct during last year’s strike action. At a WRC hearing, the retail assistant said that the sanction she received for her behaviour during the industrial dispute in February 2017 was “undeserved and unfair”. She was suspended for preventing a cash-in-transit worker to enter the supermarket while she was picketing outside and for posting about the strike on Facebook. The retailer had described this as “unacceptable behaviour”, which interfered with business and put the company’s name into disrepute. In its anonymised decision, the WRC stated that attempting to disrupt trade is “normal conduct” during a strike and it was “unlikely that the business was negatively impacted” by the sales assistant’s actions. However, it added that while her social media posts were “relatively harmless”, they were in breach of the company’s social networking policy and it would be “naive to think that any postings on Facebook were private”. The WRC stated that some form of disciplinary action “would have been appropriate”, but recommended that the employee’s week of suspension without pay, which was imposed in July 2017, should be reversed. The hearing was told that the woman had been employed by the supermarket chain as a part-time sales assistant since 2001 and she was the Mandate union steward in the store where she worked. During the strike, which took place at 16 stores from 17 to 24 February last year, she picketed outside the store where she worked. On one of these days, a cash-in-transit team came to the store to transfer money to and from the premises, but the sales assistant prevented them from entering the shop by telling one of the crew that cash was not to be delivered due to the strike. Mandate, which represented the Tesco employee at the hearing, argued that she had been engaged in “a lawful picket”, which the cash-in-transit workers decided not to pass. The union added that similar teams refused to pass pickets at several other stores. The second issue raised by Tesco was the sales assistant’s use of social media. Instead of using notice boards in the stores, where information would be posted subject to the approval of management, Mandate members set up a Facebook group to communicate with each other. Membership of the group was open only to union members. Some 43 people joined the group, however some of the messages were shown to the management at the store where the shop assistant worked. The woman had posted messages in this group referring to the strike and to other employees who had been “forced” to take redundancy packages. Mandate stated that these were private messages and that the store management was in breach of privacy for reading them. Tesco argued that the sales assistant’s behaviour during the picket brought the name of the company into disrepute, while her Facebook posts were “brand damaging” and were in breach of the company’s social media policy. She was suspended from work on full pay for 11 weeks while the matter was being investigated and in July she was given a final written warning and suspended for one week without pay. The retailer said that the sanction was issued because of her behaviour and did not relate to trade union activity. At the hearing, the WRC said that the strike had an “enormously divisive effect” and changed the “rules of engagement” at the company. It added that the legislature has developed rules and codes of practice to regulate the conduct of striking employees, and in its view, when the Tesco store assistant asked the cash-in-transit crew not to enter the store, she was “not breaking those rules”. However, the WRC said that the worker’s activity on Facebook was in breach of the company’s social media policy and “some form of disciplinary action would have been appropriate”. The WRC stated that the worker should have been issued a first written warning, rather than a final written warning with a suspension, under the Industrial Relations Act. It was recommended that Tesco reverse the week’s suspension without pay. Tesco had not responded to repeated requests for comment at the time of publication. Email “Tesco has been reprimanded for suspending a worker after last year’s strike”. Feedback on “Tesco has been reprimanded for suspending a worker after last year’s strike”.